Plain text passwords, bad encryption, and susceptibility to man-in-the-middle attacks are just some of the problems plaguing Bluetooth locks. Security researchers used the recent Def Con hackers’ convention to show just how easily some Bluetooth-based smart locks can be opened. 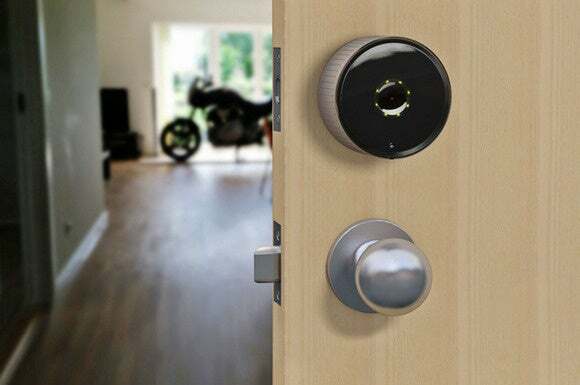 Researchers Ben Ramsey and Anthony Rose of Merculite Security took a look at 16 smart locks from companies such as Ceomate, Elecycle, iBlulock, Mesh Motion, Okidokey, Plantraco, Quicklock, and Vians. Ramsey and Rose discovered that of those 16 locks, 12 could be hacked. Several of them could also be hacked with little to no effort. The researchers’ presentation slides are available on GitHub; the presentation was first reported by Tom’s Guide. The most egregious offense: Four of the locks were sending passwords in plain text between the lock and a corresponding smartphone app. That’s a big no-no, and it allowed the white hat attackers to grab the passwords with an open source Bluetooth sniffer. Another lock used its own proprietary encryption, which is generally a terrible idea since specially-built encryption tends to be poorly tested for potential security holes. In this case, the researchers were able to get the lock to throw up an error state by changing a single byte in the encryption, which led to the lock opening. It wasn’t just door locks the researchers went after, either. The researchers also checked out a Bluetooth bicycle lock, and were able to carry out a man-in-the-middle attack to open it. Poorly thought-out security for a smart lock is bad enough, since you’d think security would be top-of-mind for locks protecting your home and property. What was more surprising was what happened when the researchers contacted the various lock vendors. The researchers contacted all 12 vendors of the locks they cracked. Only one company responded, and it told the researchers, “We know it’s a problem, but we’re not gonna fix it,” according to Tom’s Guide. That may change, however, as the researchers said they would release the hacking tools they used to the public. That way any script kiddie with some spare time and $100 can become a master Bluetooth hacker, which will hopefully pressure lock makers to get serious about digital security. Why this matters: The idea of the smart home is exciting and plays into our dreams of owning abodes just like the Jetsons, Iron Man, or whomever your favorite sci-fi homebody is. But in reality, you have to be careful. Bluetooth locks, smart thermostats and light bulbs are all very cool, but right now their security is questionable—in fact, for many products it may not even be a design consideration. If you’re worried about the security of your smart home device check out TechHive’s tutorial on 7 steps you can take to boost home security.